It’s Tire Safety Week, Are You Safe to Drive? 2 Tire Replacements – If you are replacing only two tires on your four-wheeled vehicle, make sure the new tires go on the back. In adverse road conditions (rain or snow for example), you will be better able to control the car if you lose traction. 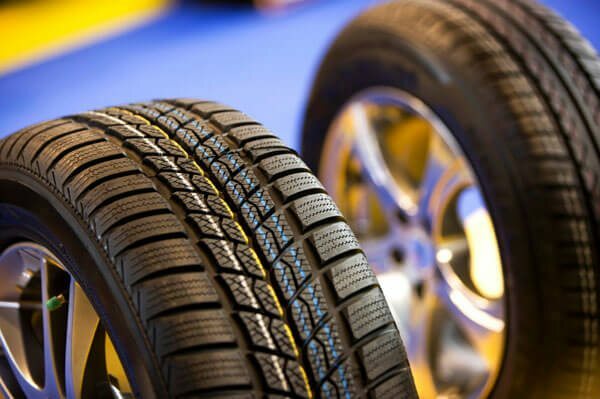 Tire Size – Whether you are replacing only 2 tires or all 4, make sure that they are within the size range of the recommendations provided by the car manufacturer. You can find this information in the owner’s manual or on the driver’s side door. Tire Rotation – It is recommended that tires be rotated every 5-7 thousand miles or when you detect notable wear to the tread. You’ll need to check your car manufacturer’s recommendations for frequency and best pattern for rotation. For some vehicles, the rear and front tires are not the same size, so rotating the tires may not be possible. Balance and Alignment – It is important to perform regular tire balancing and wheel alignment in order to avoid vibrating or shaking and extend the life of your tires. Align and /or balance your tires based on the manufacturer’s recommendations or when you feel the car veering to one side or shaking especially at higher speeds. Why It’s Important – Making sure your tire’s are properly inflated is important because it means you will experience better handling, dependable traction and a more comfortable ride. What to look for – Based on the PSI listed in your vehicle owner’s manual or in the sticker affixed on the driver-side door, assure that the PSI levels are within the manufacturer recommended range. How to test it – Using a tire gauge (digital, pencil, or dial style), check your tire’s pressure when they are cold or when the car has not been driven for at least 3 hours. Insert the gauge into the valve of each tire. When to fix it – If your tire pressure is above or below that recommended by your cars manufacture, then you must either let some air out or add air with the proper tire inflation device that you own or one from an auto shop or gas station. Why It’s Important – Your tire’s tread, the part of the rubber that has direct contact with the road, provide grip and traction for different road conditions. What to look for – With a tread inspection, you are looking for areas where the treadwear indictors are visible or shallow areas where the tread is worn past a certain point. How to test it – You can take your car into a shop where they can assess whether or not the tires need replacing but you can also do what’s called a “penny test” right at home. Take a penny and place the part of Lincoln’s head in each grove. If you can see the top of Lincoln’s head, your tread is worn down to 2/32 of an inch (not good). When to fix it – It is recommended that tires be rotated every 5-7 thousand miles to promote even wear. If your tires inside or outside tread is worn down to 2/32 or worse, you need to replace your tires. Remember, it’s Tire Safety Week so there is no better time to make sure your tires are as safe as possible to transport you, your family, and your friends. Also, remember that being #TireWise is only one part of the safety equation. Make sure to never drive distracted, drunk or drowsy and always buckle up. Great article… We see situations everyday caused by the lack of attention to a persons tires. Tires are the least cared for item on vehicles these days – and the results can sometimes be fatal. You aren’t kidding. I actually got a flat tire last week. Came to find out there was a nail embedded in the inner tread wall. Thankfully I was at a stoplight when it went flat and not on the highway.